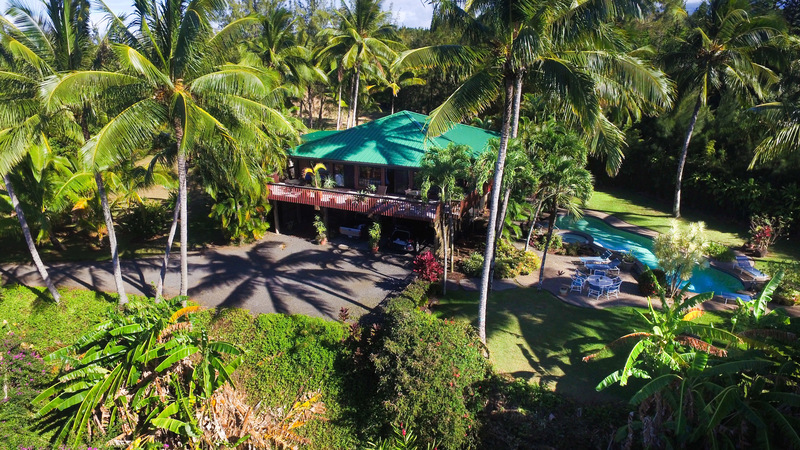 Is Running a Bed And Breakfast on Maui Your Dream? 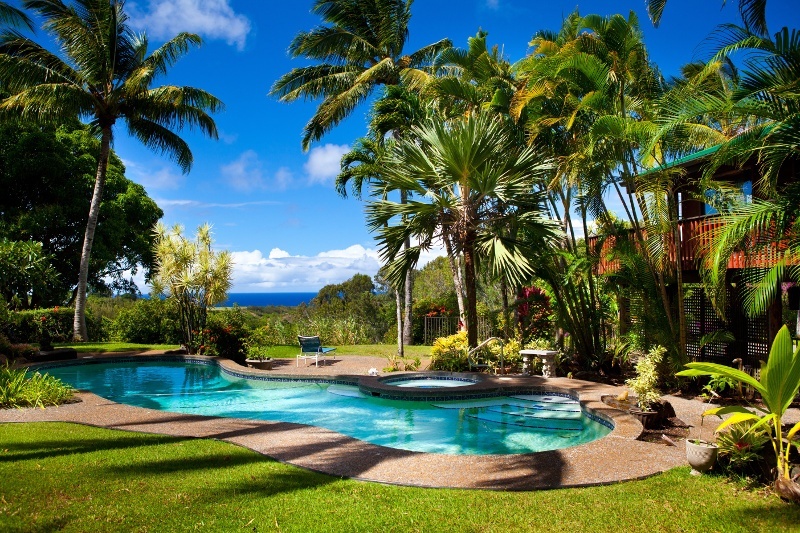 One of the most common questions we field as a Maui Realtor is, "how can I buy a bed and breakfast? ", the only correct answer is, "you can't." You can, however, look for a property that is the most prepared to pass county regulations on a Bed and Breakfast. Being that 160 Nahele was a licensed B&B for 9 years (link to the rental site with 59 reviews), it's as good of a start as you can get, I'll explain why. According to Maui County: "The new legislation adopted by the County Council on December 19, 2008 and signed into law by Mayor Tavares defines a “bed and breakfast home” as a use in which overnight accommodations are provided to guests for compensation for periods of less than 180 days, in no more than two detached single-family dwelling units, one of which is occupied by the owner-proprietor." 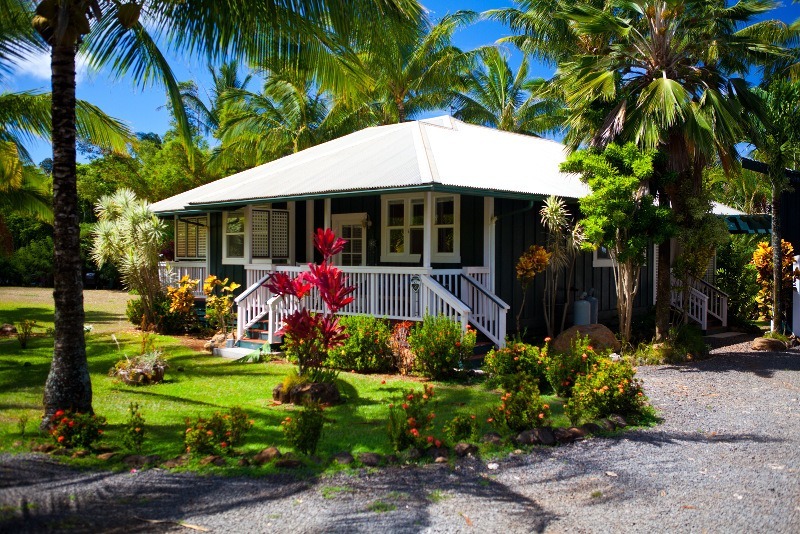 Typically, B&B's on Maui's North Shore would be a house and cottage. The best case scenario would be a lot of more than 2 acres, but less than 5. With 2 acres your cottage can be as large as 1,000 sqft, and under 5 acres you can avoid having to show revenue from ag. The larger cottage is key being that the owner of the residence will need to reside on the property and be a full-time Maui resident (recently changed from 180 days to 270 days). 160 Nahele has a beautiful house and cottage that are extremely private from one another, they feel like two separate lots. 2. If the subject property is zoned agricultural you will need to have an implemented farm plan (link to Farm Plan Application). If the subject parcel is more than 5 acres then you will need to show an annual gross farm income of $35,000 for the previous two years. 160 Nahele is a great example of being under the 5-acre mark at 4.22 acres and having a fully implemented farm plan. Currently, the Maui Planning Commission is in the process of changing the code so that the Paia-Haiku Community Plan and the Short Term Rental Home Ordinance in Chapter 19 are not in conflict any longer. If you would like to discuss this further shoot me an email (contact info at the bottom of the article). 4. You'll need to post a 16 sqft notice to neighbor sign within 5 feet of your property entrance. The sign must be placed 5 days prior to applying and must remain there through the entire application process. 5. Only six bedrooms or less can be designated for rent in the B&B. 160 Nahele has four bedrooms, 3 baths in the main home or you could designate the two bedrooms, two bathrooms in the cottage. 6. At least one onsite visit from the county will be necessary, this is probably the biggest hurdle. The county will be looking for discrepancies between what is permitted and what is actually on the property, very rarely are homes in complete compliance. This is another huge benefit of 160 Nahele having gone through the process of being in full compliance. 7. You will need to notify all neighbors of record within 500 feet that you are applying for a B&B. They will have the opportunity to have written protest, and if 30% or more of them do protest, then additional steps with the planning commission will have to take place. There are many more steps to obtaining your license. To see the full process take a look at the application here. Want more on 160 Nahele? If you cannot tell already, I am a big fan of this listing. You can read more about it here or reach out directly to me. Finding the right home takes local market knowledge and experience, let The Stice Team's 45 years of Maui real estate expertise go to work for you. Give me a call or shoot me an email, we can talk about your Maui dream home.